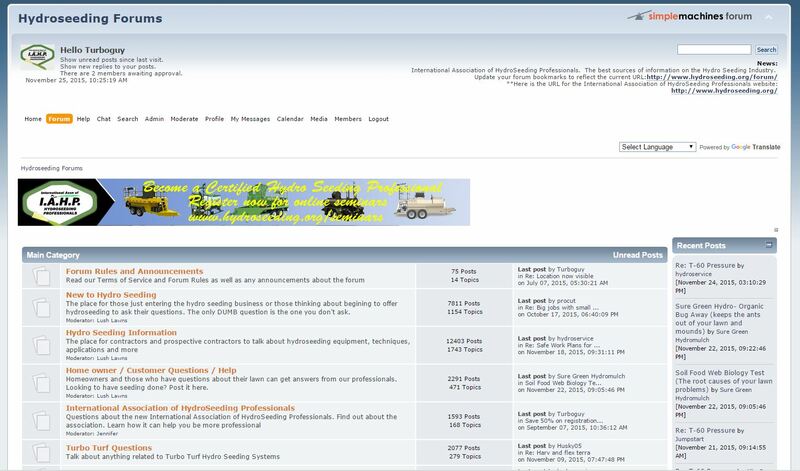 If you have questions about hydroseeding we would like to invite you to visit the IAHP forum devoted to helping others learn about hydroseeding. There are lots of professional hydro seeding experts who work in nearly all kinds of areas and conditions and use most any brand of hydroseeding machine. No matter if you have questions about equipment, getting into the business or about your lawn that was hydroseeded or that you are thinking about having hydroseeded there are helpful people there who have the answers you need.